86% of organizations do not control brand search. These data clearly demonstrate that the influence of black PR is underestimated. Meanwhile, such technology of squeezing competitors out of business has long been transformed from a book concept into reality. Companies that have been attacked by competitors, not only lose customers, but, in especially severe cases, cease to exist. And this applies not only to newcomers to the business, but also to major players in the market. For example, in 2012, due to the rumors circulating in the network, not backed up by facts, rumors about the high risk of investment, the Broco brokers, the infamous broker Broco, had to completely collapse. tugging real and potential customers to their side. However, they all serve as a single and final main goal — to remove an opponent from the battlefield and to emerge as the sole winner. And for this, according to the black PR people, any methods of influence are good: from intellectual attacks to the spread of defamatory information and even direct dousing. In the network, black PR works even more efficiently than outside, because the number of users who have access to the information offered, is estimated at millions. And even if a hundredth of a million believe in the negativity spread on the Internet — we have a minus 10 thousand loyal users. Large corporations will certainly survive this trouble, but for those who are just settling in their niche, such a blow can be disastrous. The very concept of «black PR» is extensive and to some extent collectively. 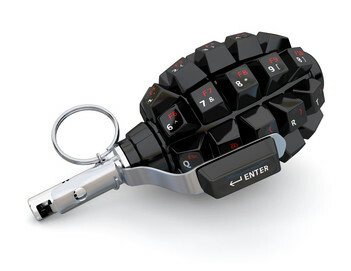 It includes many methods, tactics and technology. Some of them should be considered in more detail. Exaggeration is one of the well-known and quite common in propaganda ways to mislead the audience. It almost always goes side by side with a distortion of facts. As the object is chosen that property, a feature of the brand or product, which is convenient to play. Then it changes for current purposes, and its negative significance multiplies many times. Promotion — activities aimed at promoting the goods. It would seem, what does black PR mean? But you can promote your product not only due to its advantages, but also through the promulgation of the product competitor’s shortcomings. se of untruthful distorted information to discredit the chosen object in front of the audience. Example. A private entrepreneur-farmer sells dairy products through a website on the Internet. The cost is on average 15-20% lower than that of a local large dairy. Suddenly, in the social networks and regional networked media, information appears that the products of this entrepreneur were purchased by a private kindergarten and led to the mass poisoning of children (it is always convenient and effective for children to be in public: few will pass by the message of how the kids suffered from bad cottage cheese). After the wave of disturbances subsides, rumors are rumored that to reduce the price of a product, the entrepreneur replaces part of the animal fats with vegetable. What is the cheapest vegetable fat? Of course, palm oil. Let the myth of its harm is greatly exaggerated, but it is transported in inadequate conditions. And who knows what harmful bacteria from this oil hit the children’s stomach? Rumors about the poor quality of the «milk» of a particular farmer are spreading outside the virtual environment in full accordance with the principles of word of mouth: stores refuse the goods, the farmer’s income falls, to ruin — one step, as consumers return to the dairy product massly. Profit! Here we see the use and exaggeration (regarding the harmfulness of palm oil), and misinformation (in fact, the poisoning of children was not massive and the analyzes did not reveal any connection with dairy products), and the promotion («do not buy dangerous farm products, buy ours — they are safe «). That’s how black PR works. Literate black PR — this is not direct watering with mud. Lying, gossiping and fiction in such cases work much less successfully than truth, optimized for their own purposes in the following ways. Hypertrophy of reality to ugly sizes — one of the most favorite methods of black PR people. Example. In the process of erecting a multi-storey residential building, a fence panel fell from one of the balconies. The reasons have found out, the malfunction has eliminated, a case individual. But the network quickly reveals information from competitors, telling that the technology of fixing the elements of the construction that the developer uses is untenable, low-quality materials, and the hands of workers do not grow from the place that nature has determined. Such an attack hits at once on two fronts: first, the activity of buying apartments in this house is reduced, which means that the customer can not fully pay with the developer, and secondly, the remaining participants of this segment of the market begin to bypass the compromised construction organization by the party. And it was not necessary to invent anything, it was enough of an ordinary exaggeration. Example. In the advertisement of the new detergent for dishes, the manufacturer adds a remark: «After using the product, the dishes should be rinsed in a large quantity of water.» In principle, this should be done after using any similar composition, and the manufacturer simply decided to take care of the customer, once again reminding him of the generally accepted rules for washing dishes. What is the competitor doing? He launches the campaign under the conditional slogan «Something is not clean». Since the manufacturer specifically mentions this, it means, possibly, it contains harmful components that can not only lead to poisoning, but also provoke serious diseases, mutation of genes and other horrors. Very soon, the buyer begins to bypass the novelty (even a very high-quality and inexpensive) side. It is impossible to convict an opponent of lies, because the starting point was a real phrase, and the rest — only hypotheses, assumptions and assumptions. In the society there are certain markers, pressing on which, you can give in an unattractive light even the most innocuous information. Example. Over the past few months in social networks, especially in specialized medical groups, the online store actively advertises jewelry for doctors. 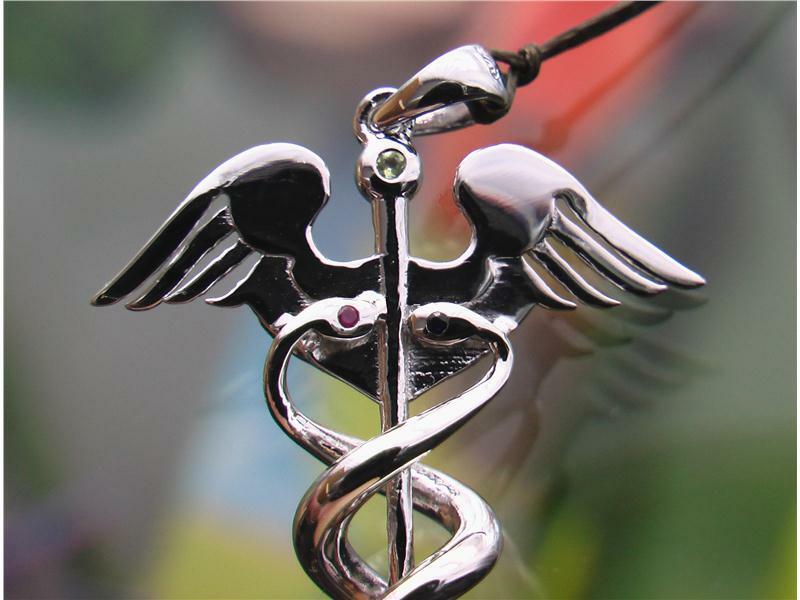 One of the positions is the «Caduceus» pendant, the symbol of the key to secret knowledge, widely used in the Middle Ages in alchemy and pharmaceutics, and from there it passed into medicine. After some time, these posts began to appear comments from users who say that the look of the pendant is very similar to the German Reich. This was enough to those who liked the jewelry, thought about the advisability of buying it. Further actions in this direction may well lead to a decrease in sales and other positions, and turn the store into a seller with a dubious reputation. However, time will tell, while we can simply observe the development of the situation. This method is fond of sinning some news media. At first glance, the news is delivered objectively and unbiasedly, but certain phrases are aimed at creating the user’s attitude to the event, which is necessary for the customer of such a reportage. If an ordinary person expresses his negative attitude toward a product or brand, but a person respected in the society, the probability that this ratio will be perceived as an axiom increases many times. There is a manipulation of facts, a personal opinion given for objectivity, and one-sided judgments. As a result, a situation that, in fact, does not represent a problem, grows to a global catastrophe. You can create a negative reputation with the help of supposedly low consumer estimates even before the product enters the market massively. In all these cases, the information is given in a very cautious and delicate format, so the injured party has nothing to go to court, all these «possibly», «probably» and others «maybe» any lawyer will sort out into molecules even without prior preparation. Recover a lost business reputation is much more difficult than creating it from scratch. In addition, the more stable the positive image of the brand, the more difficult it is for black PR people to damage it. Therefore, the best way out is to go ahead. The sites that are suitable for this: online media, communities and social networking sites, author blogs, profile forums and portals. 1. Stay calm. Never respond to an opponent under the influence of emotions. It is better not to respond at all, rather than worsen the situation by rudeness or incontinence. 2. Operate with facts. If you still need to react, do it calmly, kindly, with undeniable arguments and facts, confirming the enemy’s wrongfulness. 3. Optimize personnel policy. Very often, customers of black PR are not competitors, and former employees, especially those who quit the scandal or were dismissed without their consent. 4. Overlap minuses with pluses. It is necessary that positive information about the company or product on the network was more than negative. To do this, you can even create several separate sites related topics. So sometimes do online stores, adding to the main resource additional sites: for wholesalers, dedicated to maintenance and repair, aimed at charity, implemented in the format of information blogs and others. 5. Work ahead. It is necessary to regularly monitor publications mentioning the brand or product in order to be able to react quickly to the foci of the negative even at the stage of their ignition. It is important to achieve the maximum possible coverage of Internet sites. You can also create profiles on behalf of the company in profile forums, order native articles and posts for placement in the media and on social platforms that will be optimally adapted for these platforms, prepare and send out press releases for any information, use SEO capabilities. In addition, it is possible to hire PR specialists who have an active technology to «clean up» their reputation — this is at least more expensive, but often easier and safer than practicing the negative on their own. Choose methods to restore reputation based on the impact of which methods of black PR has been subjected to your company and what resources to confront you have. Do not forget about the correct positioning of your brand, creating a loyal audience, strengthening your reputation — this is something that at a difficult time will soften the blow and help avoid major reputational and financial losses.